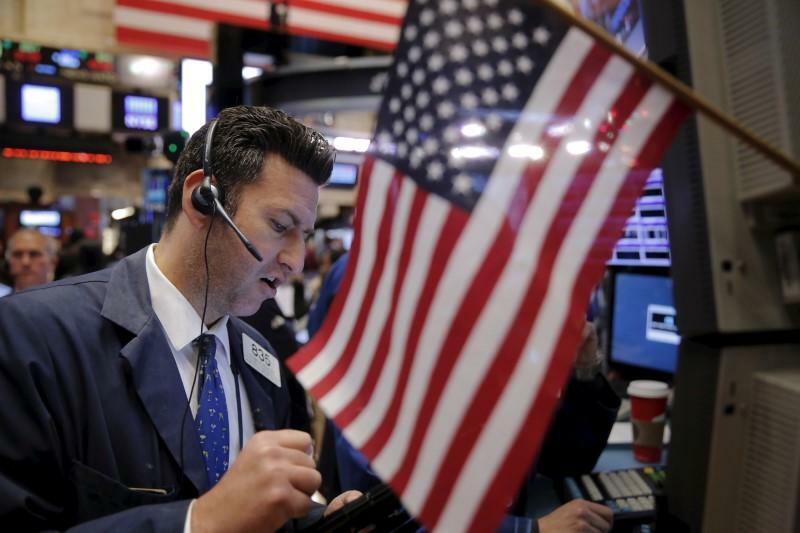 NEW YORK (Reuters) - U.S. stocks rose on Monday with technology and healthcare shares leading the way as investors appeared less concerned about possible retaliation for the U.S.-led missile attack in Syria. The weekend's air strikes marked the biggest intervention by Western countries against Syrian President Bashar al-Assad and his ally Russia, which is facing further economic sanctions over its role in the conflict. The gains on Wall Street were broad-based as investors appeared to shift focus to the U.S. earnings season in which corporate tax cut benefits are expected to be a highlight. "The catalyst had been the concern about trade issues, which is calming down. The bombing in Syria looks to be an event rather than an ongoing thing and it was a coalition," said Jeffrey Carbone, managing partner, Cornerstone Wealth, in Huntersville, North Carolina. "Now we get to concentrate on fundamentals ... Earnings is kicking in and the economic data is still good and shows an accelerating economy." At 2:26 p.m. ET, the Dow Jones Industrial Average (.DJI) rose 227.2 points, or 0.93 percent, to 24,587.34, the S&P 500 (.SPX) gained 22.91 points, or 0.86 percent, to 2,679.21 and the Nasdaq Composite (.IXIC) added 51.62 points, or 0.73 percent, to 7,158.27. The S&P 500's technology sector (.SPLRCT) was the biggest boost to the benchmark with a 0.8-percent increase followed by the healthcare index (.SPXHC) which was up 0.97 percent. UnitedHealth (UNH.N) provided the second-biggest boost to the S&P from a single stock a day ahead of its earnings report with a 2.9 percent gain, just behind Microsoft Corp (MSFT.O), which was up 1.2 percent. Merck (MRK.N) rose 2.2 percent after the company presented positive data on its cancer drug Keytruda, also boosting the S&P healthcare index. Shares of optical components makers, including those of Acacia Communications (ACIA.O) and Oclaro (OCLR.O), took a beating after Reuters reported that the U.S. government was banning American companies from selling components to Chinese telecom equipment maker ZTE Corp <0000063.SZ><0763.HK>. Acacia fell 34.4 percent, compared with a 13-percent drop for Oclaro. JB Hunt Transport Services (JBHT.O) jumped 6.6 percent after the trucking company's profit topped estimates. Bank of America (BAC.N) was up 1 percent after a better-than-expected increase in quarterly profit. Netflix (NFLX.O) fell 2 percent. The company was due to reports results after the closing bell on Monday. Advancing issues outnumbered declining ones on the NYSE by a 2.75-to-1 ratio; on Nasdaq, a 2.04-to-1 ratio favored advancers. The S&P 500 posted 11 new 52-week highs and no new lows; the Nasdaq Composite recorded 66 new highs and 27 new lows.